CIMB Personal Loan known as Cash Plus Personal Loan. It provide unsecured term loan for personal use. It is a hassle free and convenient personal loan to fulfill your dream. There’s no any collaterals needed, no guarantor and flexible repayment period up to 5 years. 100% cash on hand to customer. There’s no such thing like additional charges imposed to the loan amount. Flexible repayment period up to 5 years. Loan amount is offering from RM2,000 to a maximum RM100,000 with simple process. a Malaysian and only for individual applicant. Minimum Income (Basic + Fixed Income) are RM2,000 and above. 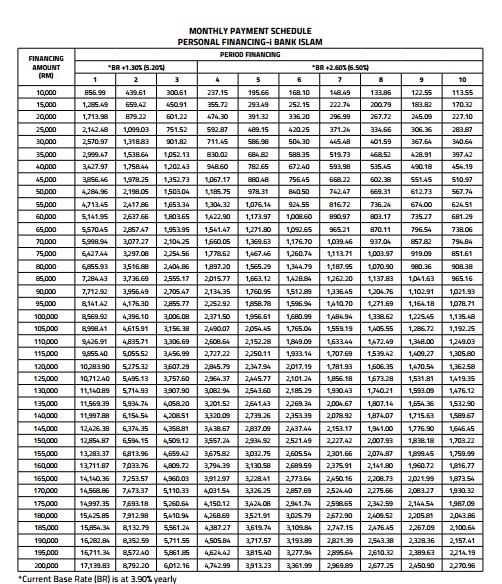 For Fixed Income Earner (Basic + Fixed Income), minimum 1 month salary slip together with latest EPF statement or latest bank statement shows salary crediting into bank. For Variable Income Earner (Do not have monthly fixed income),minimum 3 months salary slip together with latest 3 months EPF statement or latest 3 months bank statement shows salary crediting into bank. Minimum latest 3 months bank statement shows salary credited with “AUTOPAYCR or “CREDIT ADVICE” transaction or any transfer from Company Name. 4. Latest BE Form with LHDN Payment Receipt/ E-Filling Acknowledgement receipt. Business Registration details like Form 9 , 24 & 49, SSM Search, etc. Latest 6 months business bank statement / latest borang B with LHDN payment receipt or E-filling acknowledgement receipt. Provide Trading License/ Partnership agreement/ SSM/ Professional Practising Certificate. Latest 6 months business bank statement / latest 6 months personal bank statement(for sole prop/small traders only) / latest Borang B with LHDN payment receipt or e-filling acknowledgement receipt. *Note: For own business Income, the self-employed must own at least 20% of the shareholdings including Partnership and Sdn Bhd. There will be a Late Pay Penalty of 1% p.a. 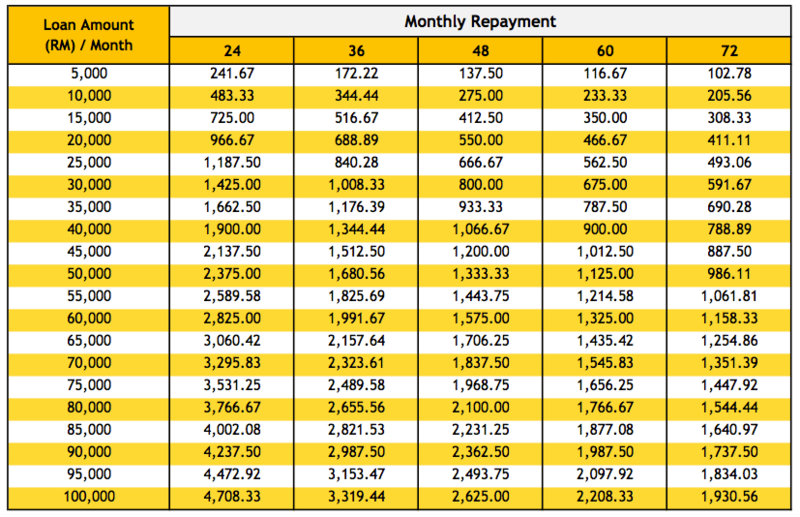 charges on the installments amount in arrears from overdue date. There’s no Early Settlement Fees Charges. This entry was posted in CIMB, pinjaman peribadi and tagged cimb bank personal loan 2016, cimb bank personal loan basic requirement 2016, cimb bank personal loan charges 2016, cimb bank personal loan interest, cimb bank personal loan profit rates table, cimb personal loan interest 2016, pinjaman peribadi cimb 2016, pinjaman peribadi cimb untuk pekerja swasta, pinjaman peribadi cimb untuk pekerja swasta 2016 on April 9, 2016 by yeejin727. Hong Leong Bank offers a personal loan which is calculated on a flat rate basis. Hong Leong Bank offers their Personal Loan to customer from a minimum RM5,000 to a maximum RM250,000 and the payback period ranges from 24 – 84 months depends to customer budgetary planning. it’s adjusted according to customer salary and budget. Only for Citizens of Malaysia aged between 20 – 60 years old. This entry was posted in Hong Leong Bank, pinjaman peribadi and tagged advantages personal loan hong leong, benefits of hong leong pinjaman peribadi, hong leong bank personal loan, hong leong personal loan, hong leong personal loan 2016, hong leong pinjaman peribadi untuk pekerja swasta, hong leong pinjaman peribadi untuk pekerja swasta 2016, pinjaman peribadi hong leong 2016, pinjaman peribadi hong leong bank, schedule installment hong leong personal loan 2016 on April 9, 2016 by yeejin727.